“Uh, I just saw the schedule and you put me down for Wed. Don’t you remember I can’t work on Wednesdays? I have physical therapy and take it off for FMLA.” One of your employees inquires. That schedule already took you too long to create and now you must go back and re-work it. Employee scheduling can be quick and simple to create. By using more information and support you can to create error-free schedules. Let’s discuss the common scheduling errors, the benefits of demand schedule, and labor law requirements you should be aware of. Employee schedules are necessary, but can also be costly. The lost productivity from qualified managers means decreased ROI. However, automatic scheduling can drastically cut that time in half, reduce errors, and the need to re-do a schedule, and increase communication. Let’s discuss the most common scheduling mistakes and how you can avoid them. Last minute Schedule Changes are frustrating for employees and managers. Employees who receive schedule changes last minute often have personal plans and obligations that it disrupts. This means irritation and decreased morale. Managers who publish schedules last-minute risk alienating employees and increases the odds of making other mistakes. Double Scheduling Employees occurs when an employee is scheduled for two different shifts simultaneously, or at two different locations. It happens more often than you’d think. It happens because of attention blindness. That’s what happens when you are focused on one part or problem in a schedule and you fail to see how it affects a different aspect of the schedule. Have you ever committed to something and then moments later, realized you were already committed for that day? That’s attention blindness at work. Avoid double scheduling with the right software which alerts you when employees are already scheduled in a different capacity or location. Scheduling Staff for the Wrong Position is inconvenient when you schedule the busser to host your restaurant. It’s critical when you schedule a CNA for around that requires an RN. Swipeclock software allows you to track the required skill level for a shift and to fit the right employee into that shift. Over scheduling or Under Scheduling includes scheduling an employee for too many hours or shifts. It can happen when a part-time employee is scheduled for too many hours or when an employee gets overtime. It can also happen when employees have requested time off or have leave needs that limit which shifts they can work or how long they can work in a given shift. Fortunately, it is easily managed with Timeworks Plus. Dropping Breaks and Rest Periods is a critical error because employees perform better when they have a chance to rest. It also means fewer errors, which can result in fewer injuries or other costly errors with customers. Failing to recognize coverage so employees can take breaks impacts employee morale and increases fatigue. Those are only some of the reasons why many states require mandatory breaks. As a result, missing breaks can also cost your company money in penalties and fines. Demand-based scheduling means that you have the right number of employees for a specific shift. It means the right skill level or educational requirements are met. It also means that FMLA and other leave requirements are met. It provides a method of communication that allows employees to swap shifts when something comes up and to plan in their personal lives. It means that employees can communicate schedule needs and view schedules from home. It also means increased moral as employee requests are honored more often. It means fewer lost PTO requests and forgotten adjustments. It can even positively influence your employee retention. 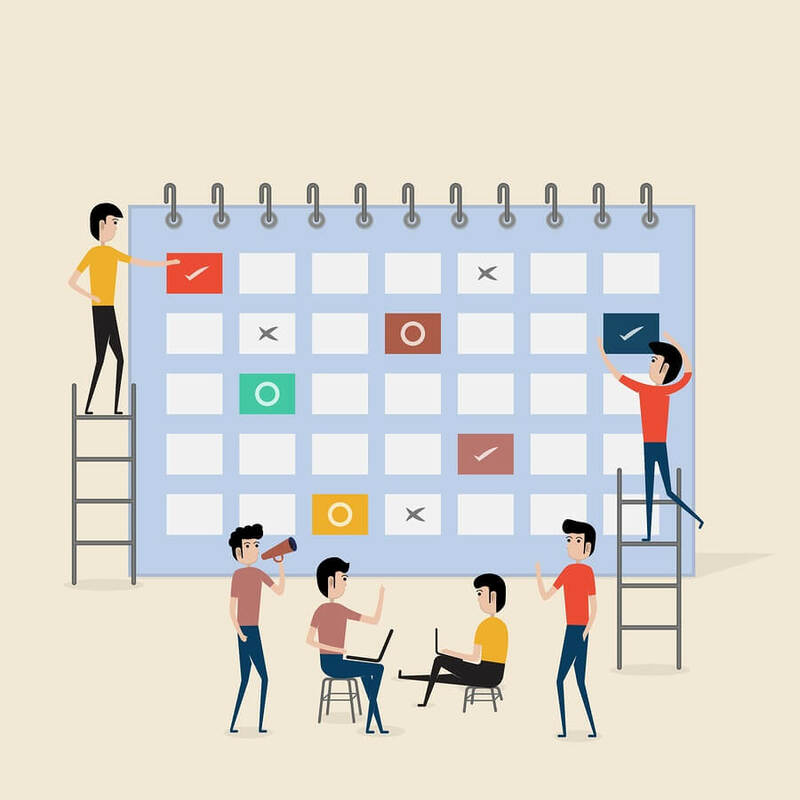 Demande based scheduling means that employee labor cost is optimized and that you aren’t over scheduling employees when there isn’t as much work for them. It also means that you don’t over-schedule employees causing them to be stressed out, discouraged, or fatigued. Best of all, changes, requests, and comments are documented for future reference. Accessibility to employees through an employee portal. New York to California, across the country cities, states and some counties are considering advanced scheduling laws. These laws may be called secure scheduling, restrictive scheduling, or predictive scheduling laws. They place scheduling restrictions and obligations on employers. Schedules must be provided with a minimum notice to employees. These notices vary by location but often require at least a 14-day notice of schedule changes. Changes that occur with less notice means that employers must pay employees a “premium” wage for those changes. The cost of the premium wage increases as the time of the changed shift nears. Often 7 days or less notice increases the wages and 24 hours or fewer changes are completely forbidden by law. Employers who make schedule changes pay employees for the changes. This means that schedule mistakes become very costly for employers. Often a shift cancellation results in 4 hours of pay for the affected employee. Changes in the start or end times of a shift result in extra hours of pay, even if the employee still works the same number of hours. Other changes are also costly. Employers are required to receive employee input on their schedules. You already do this, but these labor laws require you to track and prove you took employee input. Documenting input electronically makes it easier to show compliance. You won’t have to track paper requests or note phone calls or conversations. Additionally, employee requests show up during scheduling, making it easier to comply as much as possible. Reduce Errors and Corrections. Employee A is actually scheduled for overtime. Employee B can’t work more than 20 hours a week and you have him scheduled for 24 hours. Employee C has FMLA leave and needs 2 days off for medical appointments. Sadly you scheduled him starting 1 hour before his needed time end. Employee D is scheduled for a shift she’s not qualified to fulfill… All these errors will cost your company money in premium pay and take more time to fix. However, with demand scheduling, alerts for these things show up while you are scheduling and helps you to eliminate those errors. Clopenings are tracked. Legislation often prohibits clopeings. That’s when an employee closes a shift and then returns hours later to open the next day’s shift. Clopenings are usually prohibited, or at least heavily fined. But, even if your business isn’t regulated by local restrictions, clopenings also have an effect on employee morale. Demand-based scheduling software is a customizable platform that is programmed to understand the needs of your business. It understands the roles, responsibilities, and qualifications of each position. This intuitive software looks at historical trends to create a schedule that meets the ebbs and flows of your business. This type of scheduling software means that you can forecast your scheduling needs. It also means you can incorporate employee requests and preferences into your scheduling as much as possible (not everyone can take the week of July 4th off). This means that you can have the coverage you need without spending odious hours trying to create the right schedule. It also means that you can spend time previously spent on scheduling on other high-priority tasks. Avoid understaffing through employee skills and education based scheduling. This allows you to ensure that you have the right employees filling the right positions based on training, education, certification or skill level. Avoid Overstaffing through alerts that inform you when employees have been scheduled for overtime. Alerts can notify you when employees have reached their FMLA reduced schedule hours, are scheduled for days they need off or have other restrictions. Automatic suggestion provides alternatives for specific shifts so that you can quickly see who can fill in when an employee calls in or requests a specific day off. Mobile Notification allows you to see when employees request PTO, requests specific shifts or has an emergency. Electronic Delivery of schedules means that employees receive their schedules early and helps you stay compliant with local scheduling laws and regulations. Employee Portal access means that employees can look at schedules from home, request time off when they are thinking about it (and not a week later when they urgently remember) and submit feedback around extra shifts and other schedule requests. Missed Shift Alerts notifies employees who have failed to clock in, allowing managers to more quickly address the shortage and avoids missed punches. Swipeclock provides intelligent demand-based scheduling that allows businesses throughout the country to more easily comply with sick leave laws, advanced scheduling ordinances, and other employment laws. These businesses also have to also comply with Federal Overtime Laws, the Family Medical Leave Act and any other national or local laws that are enacted. SwipeClock provides a comprehensive array of workforce management and time tracking tools that can help businesses to more easily stay in compliance with local and national laws. SwipeClock is a leading provider of simple and affordable integrated workforce management services that provide intuitive employee access to integrated automated time and attendance, scheduling, leave management, HR dashboards, and other HR resources. The company’s cloud products (WorkforceHUB, TimeWorksPlus, TimeSimplicity) and hardware clocks (TimeWorksTouch and TimeWorksTUFF and others) enable employers to manage their most important and expensive asset—employees—by transforming labor from a cost of doing business to a competitive advantage. SwipeClock’s workforce management solutions are sold through over 900 partners that empower more than 30,000 businesses to lower labor costs, comply with regulatory mandates, and maximize profits. You shouldn’t have to spend hours creating or recreating a schedule. Demand-based scheduling boosts employee morale. Complying with scheduling laws becomes easier and much less expensive.